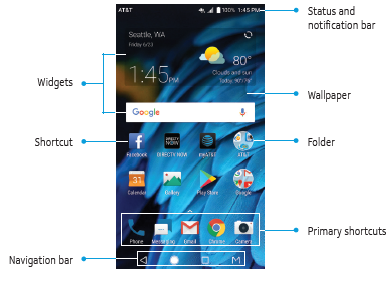 The ZTE Axon M user manual provide detail reference information such as Installing the Nano-SIM Card and Memory Card on page 7, Setting Up Your Phone, Locking/Unlocking the Screen and Keys on page 10, Using the Touch Screen, Changing the System Language, Setting the Date and Time on page 17, Changing the Screen Brightness on page 22, protecting phone, Using Your Fingerprint on page 24, etc. Then about using Google Voice Typing, Connecting to Wi-Fi and bluetooth, Using NFC, Using the Memory Card as Portable or Internal Storage on page 53, VPN settings, Importing, Exporting, and Sharing Contacts on page 74, Setting Up the First Email Account on page 83, using browser for access the internet, using camera on page 97, Recording a Video, Setting Up TV Mode, and more. Other important information such as about settings guide and troubleshooting on page 129 like Poor reception, Echo or noise, Unable to select certain features, Battery not charging , Cannot turn your phone on, Nano-SIM card error, Unable to connect to the network, Phone crashes, reboots, freezes, or cannot be powered on, and more.